Can my paycheck be garnished by two different collection companies at the same time? A judgment debtor's wages may be garnished up to 25% of net income. Review your state's garnishment laws to learn your rights. Resolve your debts before a wage garnishment begins. The amount that your wages can be garnished for the collection of a judgment on an unsecured debt primarily depends on your state’s laws relating to wage garnishment. In most states, a judgment debtor’s wages can be garnished up to a maximum of 25% of his or her net income. In fact, 25% is the maximum garnishment allowed under federal law, so no state allows garnishment of more than 25% of a debtor’s net income. However, some states further limit the amount that can be garnished from their residents. I will explain more about garnishment in just a moment. In states such as Texas, North Carolina, South Carolina, and Pennsylvania they do not generally allow wage garnishment for unsecured debts, while Florida does not allow garnishment if a debtor is considered the head of a household. Also, many state courts will reduce the amount of a garnishment if the debtor can demonstrate that the current garnishment amount is causing an undue hardship for the debtor and his family. Before you assume that your wages will be garnished, I encourage you to review your state’s laws relating to garnishment for the payment of judgments for unsecured debts. To read more about your state’s laws relating to wage garnishment and what other assets are protected by state law, see the Bills.com State Consumer Protection Laws and Exemptions resource. Garnishment limits outlined by federal and state laws define the maximum total amount that can be garnished from a debtor’s paycheck at any one time. For example, under federal law, the maximum that a consumer can be garnished for the collection of an unsecured debt judgment is 25% of his after-tax earnings. Generally speaking, if a consumer has more than one judgment creditor attempting to garnish his wages, the creditor who files for garnishment first is paid first; any garnishments received while a garnishment is already in place will sit unpaid until the first garnishment is paid. Certain types of garnishments, such as those for delinquent taxes or child support, take priority over garnishments for regular judgments, so even if you are already being garnished by a creditor, if the IRS sends a garnishment notice to your employer, the first garnishment would stop the IRS would be paid before the garnishment for the judgment resumed. Also, you should know that the amount that can be garnished to pay these "priority debts" is generally higher than the amount that can be garnished for regular judgments. For example, a garnishment for delinquent child support may be able to take as much as 50% of your earnings, or possibly even more, depending on your state’s laws and the court order requiring the child support payments. So, in a simple answer to your question, creditors cannot each garnish 25% of your wages; the creditors will either be forced to split the garnishment amount, or they will be required to wait in line to be paid in the order the garnishments were received by your employer. However, you must consider that having multiple garnishments sent to your employer may be grounds for termination of your employment. Under federal law, you cannot be fired for receiving one garnishment, but subsequent garnishments could be cause for your employer to terminate your employment, depending on your state’s laws and your employer’s policies relating to garnishments. If at all possible, I strongly encourage you to resolve these debts before a wage garnishment begins to prevent any potential problems with your employer. 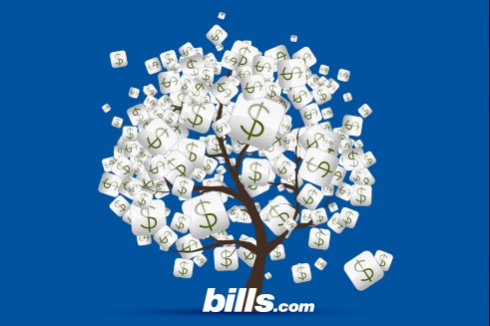 If you are struggling to repay unsecured debts, I encourage you to visit the Bills.com Debt Help page to read about various options available to help consumers resolve their outstanding debts. Filing for bankruptcy protection may be one option available to you to stop these wage garnishments; I invite you to visit the Bills.com Bankruptcy page to learn more about bankruptcy. I also encourage you to consult with a qualified attorney in your area to determine if bankruptcy is a viable solution to your financial problems. This page is closed to new comments. I have been told that IRS levy takes priority over everything but child support. I just received a call from CA Tax board and they said that I should not have stopped their order when I received the IRS levy. Is this true? There are a couple of things in your question that are not clear to me. I can't tell if you are an employer trying to properly comply with competing garnishment orders for an employee. It is also not clear to me if you are saying there was a payment plan in place with the CAFTB or a levy. I also don’t have clear information on the filing dates of the state or federal liens. Given my lack of a clear understanding, I am going to make a few general comments that I hope you find helpful. Assuming that you are an employer and stopped a CA FTB lien in order to comply with an IRS tax lien,One issue present is the “priority” of a tax lien between the state and the IRS. CA FTB will argue that they had a lien that was in place prior to the IRS tax lien and therefore the state tax debt should have been paid first and then when complete the IRS tax next. Assuming that the state lien preceded the IRS lien, then the FTB is correct. Just had a question....my boyfriend is unfortunately in arrears on his child support. His amount is the exact amount of his federal refund this year. According to the "offset" they are appling the total balance of the child support amount from his federal refund. Question is will he get refunded because his state refund was also taken in "offset"? We have other children we are taking care of. With the offset amount he still should have recieved about $1000 in what was left of the tax refund. Perhaps the safest thing to do is to file the federal return ASAP, so the offest is applied. Then, when filing the state return close to the filing deadline, attach proof that the arrrears are paid off. Speaking to the state tax authorities before you file the return and after the debt is paid may be prudent, too. if you are getting garnished for child support and you have past hospital bills they get a garnishment on can they take both or split it or how does this work. The hospital bill garnishment gets in line behind the child support garnishment. The hospital garnishment can only happen at the same time if the child support garnishment does not exceed the state cap for garnishments from creditors such as the hospital or for credit card debt. California law does not prohibit a judgment-creditor from using multiple remedies (wage garnishment, levy, or lien) to satisfy a judgment. However, I do not know if Colorado law prohibits such a practice, but I would be surprised if it did. The US Constitution's full faith and credit provision gives judgment-creditors with State A judgments the right to domesticate their judgments in State B. I am not aware of any interstate commerce laws that modify this basic right. Thank you for such a quick response. Multiple remedies, who knows what they'll think up next? I also read something about applying for exemptions. Would any apply here in and for what state? To reaffirm, would there be exemptions for garnishments in my situation. do you have links for state exemptions? thanks again. See the Bills.com resource Collection Laws & Exemptions for a list of exemptions state-by-state. Every state has exemptions for wage garnishment, but if they apply based on your disposable income is the question. You mentioned you are a California resident. See also California Collection Laws to learn more. I live in California, and I am being waged garnished by the Califonia State Unemployment Agency. However, if I am being waged garnished, can the California State Unemployment Agency garnish my tax refund? I believe that your California tax refund and IRS tax refund are in jeopardy, when you owe a California state agency.